SEGA obviously knows about the crowd's general attitude towards the Sonic the Hedgehog franchise. "The old games are great, and the new ones are terrible." While that's a pretty broad statement to make because there have been some good Sonic games over the years, SEGA knows that the series' best years are far behind it. And SEGA also knows that it is far more likely to grab your attention by referencing that rich history in a video game trailer! 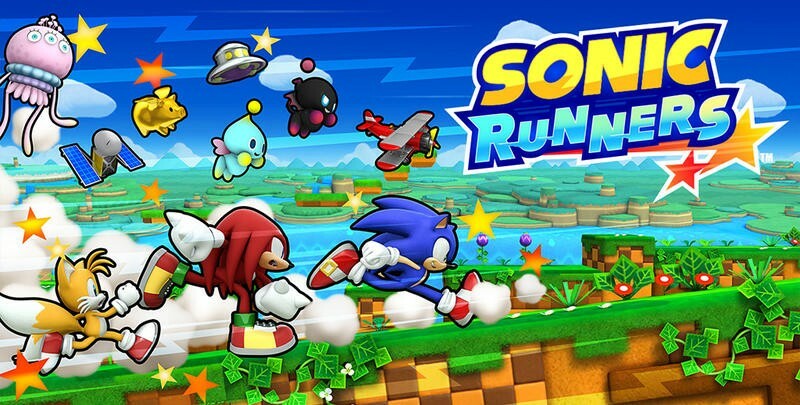 SEGA has announced that Sonic Runners will be the next mobile game in the series in a brand new trailer. The brief partnership with Nintendo obviously didn't work out as either company had hoped, and the laughably horrible attempt at Westernizing it with the CryEngine brought the series to a new low. Instead, as SEGA does when the series hits rock bottom, it's now bringing it all back to basics. The best part about this teaser is that it doesn't even show any of the actual game! All it implies is "Hey ! You like the older Sonic games? Try this new mobile one!" Has there ever been such a blatant example of this? And who knows? For all we know, maybe this mobile game could end up being the best Sonic game in years, or it could be a generic endless runner or a broken racing game through platforming stages. You never know what Sonic is going to be. We'll just have to wait for some actual footage.